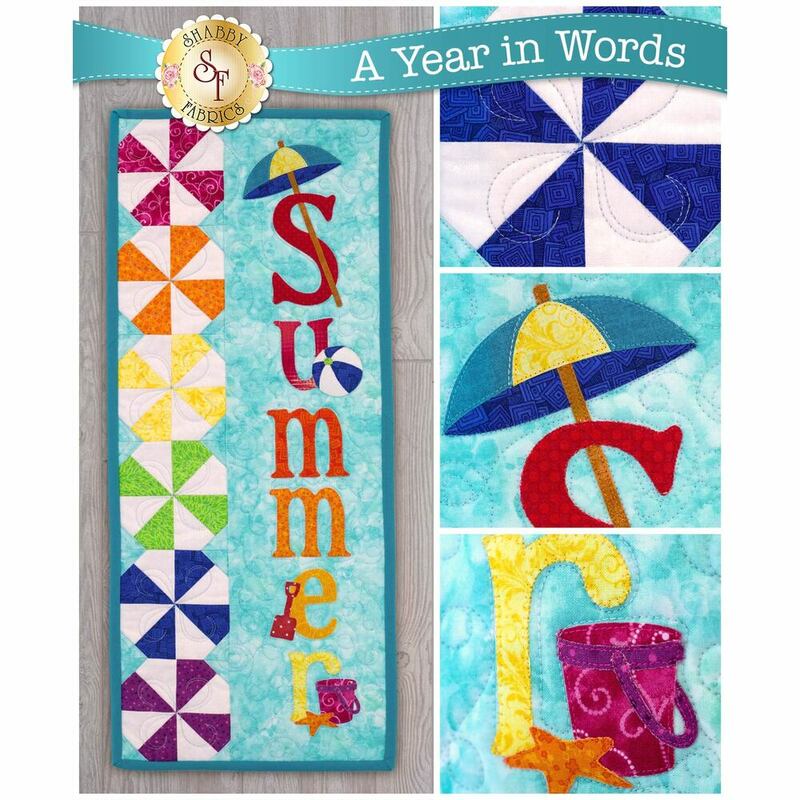 Celebrate summer with the July A Year In Words Wall Hanging! This adorable wall hanging features a shady umbrella over the "S", a bouncing beach ball off the "U", a sand shovel by the "E", and a darling starfish coupled with a pale next to the "R". 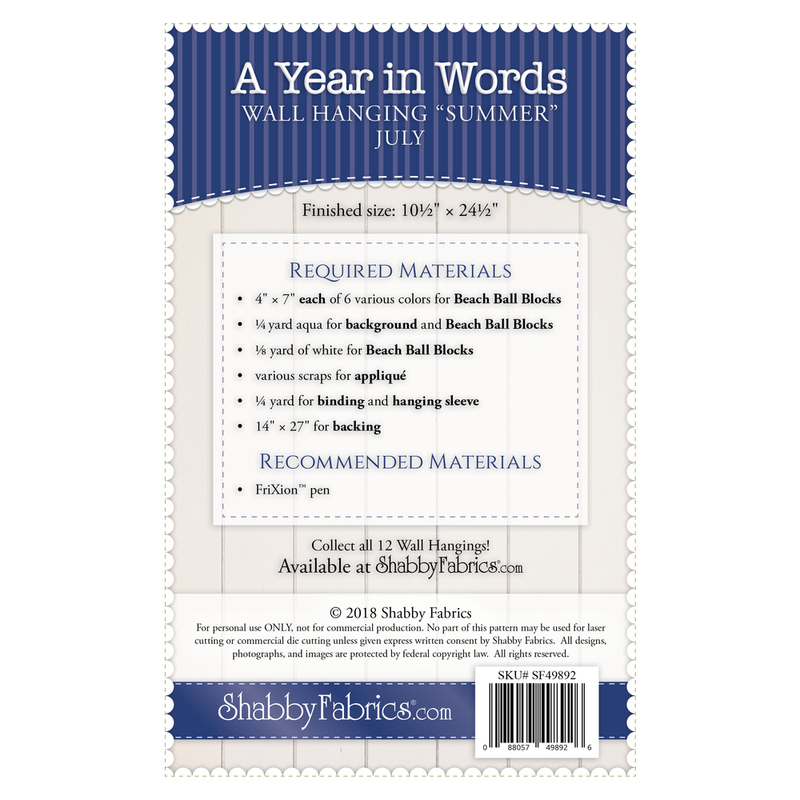 Make your own wall hanging out of this Shabby Fabrics Exclusive pattern!